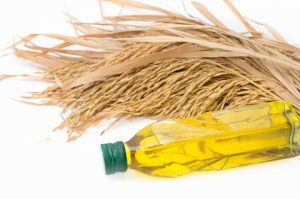 One of the most important aspects of a healthy type of oil that needs to be explored is how it tastes. While coconut oil has seen a boom in recent years as a go-to oil for many different uses, some don't enjoy the taste of coconut oil as it is very strong and the coconut flavor is unmistakable. The great thing about rice bran oil is that it's fairly neutral in taste so it can be effectively used when cooking a myriad of items. The rice grain itself isn't very potent so its flavor won't clash with the foods you are cooking and it's quite versatile in its ability. There is good cholesterol and there is bad cholesterol - some people aren't aware of the intrinsic differences between the two. One will help your heart and aid your organs while the other can increase your risk for heart disease, stroke or type 2 diabetes. Because rice bran oil is so heart friendly, it can actually help to control your cholesterol with the right amount of a powerful antioxidant called oryzanol. This oil is even recommended by the World Health Organization and the American Heart Association as being a great oil to improve serum levels of cholesterol.